The extended version of the upcoming documentary Chris Claremont's X-Men provides an expanded story with more background on Claremont and his two original collaborators, Ann Nocenti and Louise Simonson, revealing secrets into what made them a great team. Viewers will also gain insight into Claremont’s childhood and see what helped make the connection between him and the series outsider heroes. 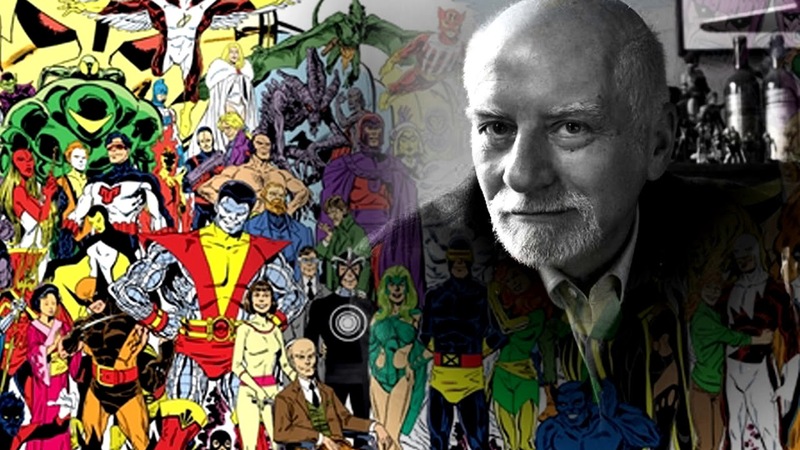 There is also a look at the franchises’ films and TV shows, including Claremont’s key role in launching X-Men and his thoughts on seeing his creations come to life, from the first X-Men film to the recent Legions TV series and the upcoming New Mutants film. The feature documentary is directed, produced, and edited by Patrick Meaney. Jordan Rennert produces and is the Director of Photography. Chris Claremont's X-Men is distributed by XLrator Media and will be available on VOD on February 6th. 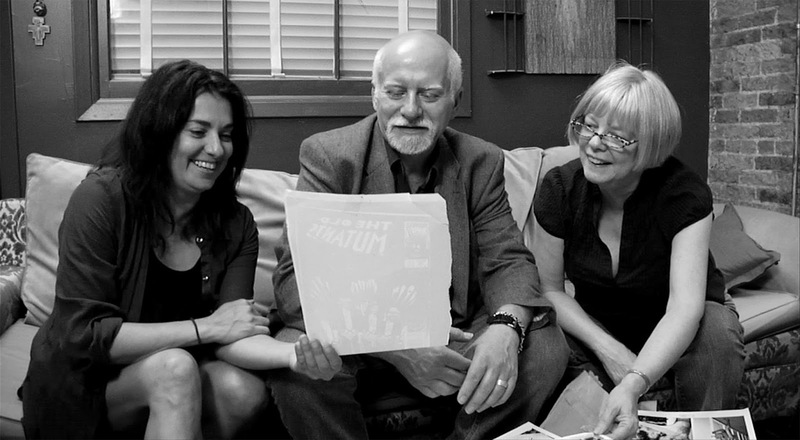 We were able to chat with Claremont and Meaney about the documentary and comics. 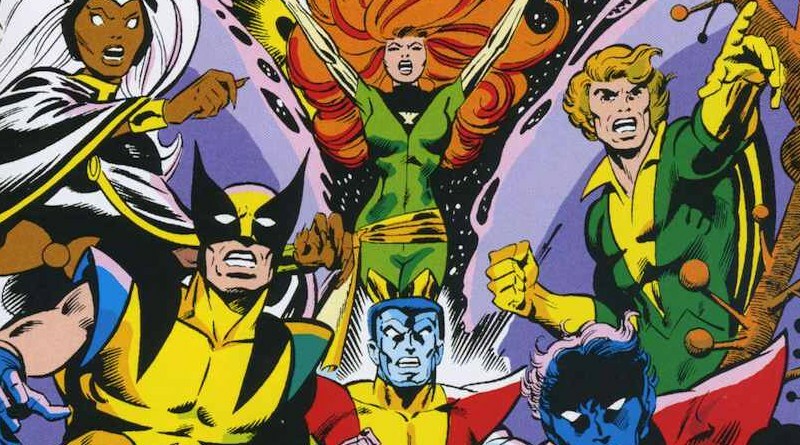 TMS: X-Men originally was a failed comic book. It seemed when I watched the documentary you had little hesitation when you were asked to assist with the recreation. What about X-Men gave you no hesitation and allowed you to see its potential? CC: Basically, the opportunity to work with Dave Cockrum! The artist Dave Cockrum, who was one of the most brilliant visual designers, character designers, story designers, concept designers of his generation. He’d come up with these wonderful characters and all that we knew about them was Giant Size #1. So, I just thought, “They are cool, I want to play with them!” And I had the intense good luck of being in the right place at the right time and I got my hands on them. Dave and I just went full board to the max and it was just wonderful. The wonderful thing, sorry for being repetitive, I could say things like, “Dave, wouldn’t this be cool! A double spread of two star fleets fighting it out in front of a binary star, with starships blowing up and this and that.” Dave would be like, “Yeah, yeah, yeah.” Then like four days later, I get the double spread and it’s like, “Wow!” The fun thing was, we were doing everything that audiences take for granted from ILM, Spielberg, and Lucas. Except from them, it’s tens of millions of dollars and hundreds of hours of computer time. With us, it was just I write a note on a piece of paper, Dave sits down and starts drawing and wham, within a manner of days we have this spectacular visual which set the story going full bore and we never looked back. That’s what I love about comics. We can do anything that movies can do, better and for a fraction of a price. The only thing that we don’t have are actors. CC: Some people might say that’s a good thing. TMS: Yeah. It lets people be a little be more imaginative when they’re reading as opposed to watching film. CC: But, it also lets the artist be imaginative. It lets the artist just put whatever. The beauty of Bill Sienkiewicz's work on The New Mutants was I have no idea where half the visuals came from, but they were wonderful! And so, we were just bouncing the tennis ball back and forth and creating anything that came to mind and he brought it to life. That’s what makes comics so much fun. That’s what makes working with the right artist and the right characters so wonderful. You can do anything and get away with it. TMS: I think that the social symbolism that the X-Men are now synonymous with is so incredible, and a huge part of why I have always been such a huge fan of them, so I am wondering if when you started out writing about them if that was something that was always in the back of your mind, even in the beginning, social injustices, racism, intolerance? CC: Pretty Much. But, that’s one of the advantages or disadvantages of being off the boat myself. I don’t sound it, but I’m English. I remember the first time I went to a school in the United States, dressed as I would for an English public school; shorts, tie, shirt, vest, and blazer. I got the living bleep beat out of me by kids who thought I was just a poncy tont, and never did that again. It’s being in a different world and a different culture and a different set of realities and wanting desperately to find a way to fit in, but without a book of instructions. That was leaping off of the basic positive side of the thing that I wasn’t dealing with race, ethnicity, any other of the bugaboos that define outsiders in this culture. I was just from a different place. I figured if that’s the world I am reacting to, what must it be like for someone who can’t adapt as easily and how does that feel and what can we play with to make a point to both the character and the reader. And so, I felt I was off and running from that respect. 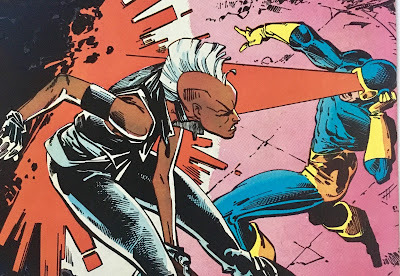 PM: I do think it’s funny how people complain so much about agenda, diversity, or whatever, but in New Mutants everybody’s from someplace different, a different ethnicity, a different look and it doesn’t seem like it was a huge deal back at the time. CC: But, for me, my point of view was always, “Ok, if you want all of the Avengers and everyone to live in Manhattan, that’s cool. You guys can play in Manhattan. You guys can have the whole of North America. I’ll take South America, Europe, Asia, Africa.” You know, there’s so much to explore. My favorite magazine for the last fifty years has been National Geographic, because it gives me a cheap but brilliantly presented window unto cultures and societies and places that I didn’t have a hope of visiting in reality. If I could learn something from that and give it to an artist and have us put it on paper, and through that introduce something cool and different to the audience that they had never suspected before and it might intrigue them into finding out more about the place, and the people, and the culture. Woohoo, that’s cool! That’s what I love about being a reader. Ursula Le Guin just passed yesterday and I’ve read her stuff my entire career. I loved it, because she took me to places I never knew and ways of seeing people I never imagined. That inspired me as a reader and challenged me as a writer, and I think that is my goal when I sit down and put pen to paper, to try and come up with a character, and a situation, and a conflict and resolution that will move and inspire the reader. And because I’m a periodicalist, make them want to see what the hell happens next. TMS: As a modern comic book reader, I do get into a healthy amount of debates with old school readers who give DC, mostly Marvel a lot of heat in regards to diversifying both their new characters and reinventing old characters and making them more diverse. Those old school fans feel that “it’s being shoved down their throat.” Thor is now a woman, Iron Man is now a young African-American woman. What would you say to those old school fans who are upset about this movement? TMS: I definitely agree with that. You have been credited with reinventing the female superheros, which is something super near and dear to my heart, and I love that in an era where something like Avengers 200 was an acceptable published comic, you moved away from that whole damsel in distress trope and made a lot of really powerful female characters. Do you have an inspiration behind that? Was it just something you always wanted to do or did it just feel right? CC: I have a tremendous amount of women friends who are incredibly courageous, strong people. A dear friend of mine, until recently, was a member of the Council of Foreign Relations. Her specialty is infectious diseases, headed by Ebola, and it wasn’t unusual back in the day for her to receive word of an outbreak in Africa and she would get her MOPP suit and be on a plane the next day. And the thought of, “You’re chasing down the most lethal disease on the planet?” And she’s like, “Yes, that’s what I do.” Holy Crap! Wow! These are people that I know, who are far braver and far more inspired to do good works than I will ever be. So, why should they not have some aspect of their character, of their lives, of their courage presented for readers to bond with. My mom worked on a radar station at Dover during World War II. Every morning the Luftwaffe would come over and try to blow them all to hell and she kept doing her job. These are the people that I know. If I’m going to swipe, I might as well swipe the best around me because if superheroes are ideal then lets pattern them after the real world analogs who are just as admirable, and just as courageous, and just as determined. Because we believe in happy endings, justice is victorious. CC: It also makes the characters much more interesting. TMS: It does. Nobody wants to read about the same people over and over again, forever. CC: You can see so much inspiration just by riding the underground, looking at the people around you on the platform. I just saw a couple having an argument across the platform this afternoon. And I’m sitting there thinking, “What’s that all about? What if?" That’s the joy of New York. You have the entire world in your face that you can play with and steal from and turn into a story. Being a superhero just makes them look cooler. TMS: Patrick, What made you want to make this film? 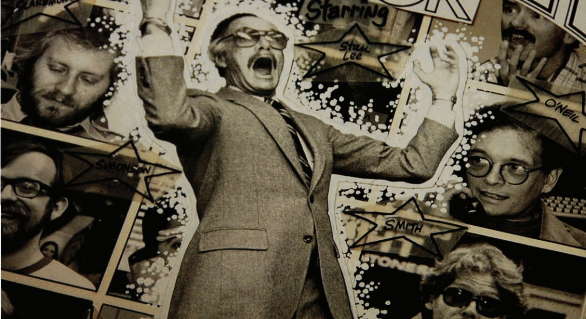 Were you a comic book fan to begin with? If so, when did you become a comic book fan? 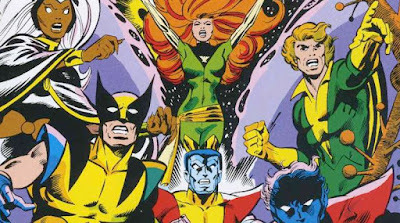 Was there a particular X-Men character you felt most related to you? PM: It was actually reading Chris’s work that got me into comics. I started with a black and white collection of his first issues on X-Men called Essential X-Men Volume 1. I wound up reading Chris’s entire first X-Men run over the next couple of years, and in looking for information on the series, I always found a lot of things about the continuity of the characters or the same few anecdotes, but not a lot of real insight into what it was like to build the X-Men like Chris did. So I figured, why not make a movie about it? I wanted to dive in and explore the process by which Chris and his collaborators were able to construct this incredibly deep universe full of fascinating characters on a monthly basis in comics. And I figured since so many people are familiar with X-Men, there’d be a lot of people interested in the topic. As for characters, one of Chris’s greatest strengths is that each character feels so fully realized and relatable. My favorite character in his run on the series was probably Magneto, but as a teenager reading the book, I definitely related to Kitty Pryde. TMS: Patrick, What would you say would be the biggest challenge you ran into while trying to film and edit this documentary? PM: The biggest challenge with any documentary is how do you shape the disconnected events of reality into a compelling arc for a film. But once I started talking to everyone involved, the story became clear. It’s a rise and fall narrative, where Chris’s great success becomes his own undoing. As someone in the film says, X-Men became a prison of his own creation, and I think that’s a fascinating arc. The other big challenge was figuring out a visual way to keep the story interesting. I settled on the idea of filming all the comics from the physical issues rather than scanning them, to give a real analog feel to the movie, and I think it worked nicely. TMS: You mention that you prefer to focus more about humanity than constant action sequences. You like to showcase the flaws in your characters. Is there one particular character that you hold most near and dear to your heart? CC: The one I haven’t created yet. TMS: I like that. And I look forward to seeing who that is. TMS: Thank you so much.